Open Class corps directors gathered in Indianapolis January 22-24, for Drum Corps International's annual winter business meetings. "We had all of the participating Open Class corps from across the country here this weekend," said Legends Executive Director Ibe Sodawalla, who also serves as Open Class Advisory Committee Chair. "Some of these corps don't participate in the World Championships, so to have them all here under one roof with 100 percent attendance is a very exciting thing." Among the highlights of business conducted last weekend, was the election of directors to serve on the Open Class Advisory Committee. 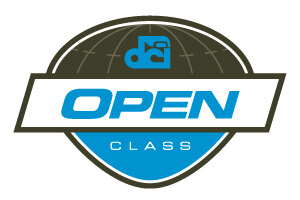 Committee members manage the activities of Open Class corps, providing an effective communications pipeline to Drum Corps International and its voting member corps. Outgoing chair Vicki MacFarlane was thanked for her seven years of service to the committee. MacFarlane, who recently transitioned from director of the Open Class Colt Cadets to the World Class Colts, has stepped down from her position on the Advisory Committee as has Mike Quillen of the Oregon Crusaders whose corps will compete for the first time in 2013 as a World Class unit.